A new chemical compound could pave the way for a new option in the fight against the opioid crisis. Researchers developed an experimental painkiller option that is 100 times more potent than morphine. Published on Wednesday in Science Translational Medicine the study found that the compound, called AT-121, does not have the same side effects as more dangerous painkillers. "In our study, we found that AT-121 is safe and non-addictive, as well as an effective analgesic," said Mei-Chuan Ko, a professor at the Wake Forest Baptist Medical Center, in a statement. "In addition, this compound effectively blocked the abuse potential of prescription opioids, much like buprenorphine does for heroin, so we hope it can be used to treat pain and opioid abuse." 15 people die from opioid overdoses every day in the United States, according to the Department of Health and Human Services. 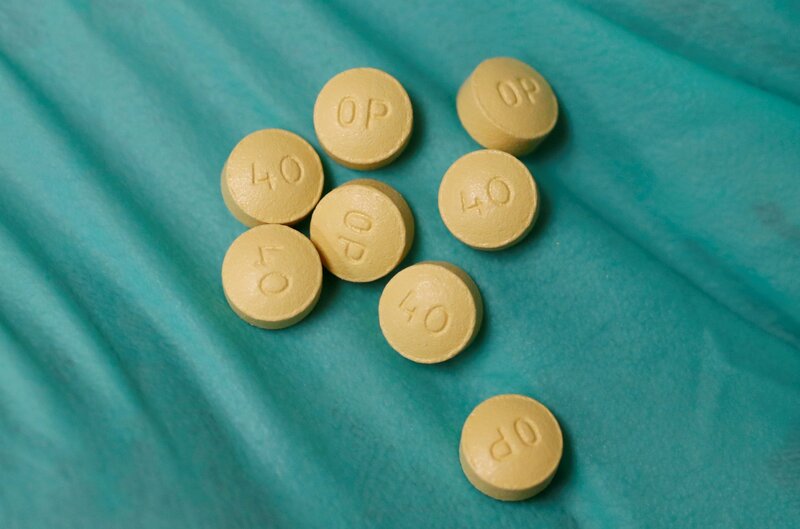 Between 21 and 29 percent of patients who are prescribed opioids for chronic pain, abuse the drugs – and between eight and twelve percent end with the development of opioid consumption disorder. From July 2016 to September 2017, opioid overdoses increased by 30 percent in 52 regions in 42 states. Current opioids focus on the opioid receptor, a part of the brain that helps people feel no pain. The team aimed to develop a drug that would activate this receptor, but also activate the nociceptor receptor, which can block the side effects of opioids such as addiction, respiratory depression, and increased sensitivity to pain. "We developed AT-121, which unites both activities in a balanced ratio in a single molecule, which in our opinion is a better pharmaceutical strategy than having two drugs in combination," Ko said. The researchers tested AT-121 on non-human primates and behaved as they hoped it would – providing pain relief without the side effects. When the monkeys were allowed to administer the drug at the touch of a button, they did not want to do it. The scientists believe that this shows that the drug does not feel that AT-121 is a reward or that it is addictive. However, researchers need to investigate other potential side effects elsewhere in the brain. "The results are really clear, but there are still a few things that still need to be done before it can go on," Bryan Roth, a professor at the University of North Carolina at Chapel Hill who was not involved in the study, reported Live Science . "It is very important to find out if [AT-121] interacts with other receptors or ion channels or transporters in the body." Next, the scientists hope to go through the US Food and Drug Administration's safety and toxicology studies, and then on to human studies.